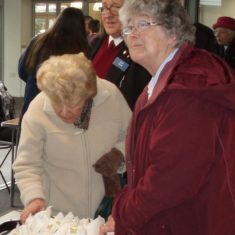 The Tea Party began at 2pm and people were queuing up to come in as we opened the doors. 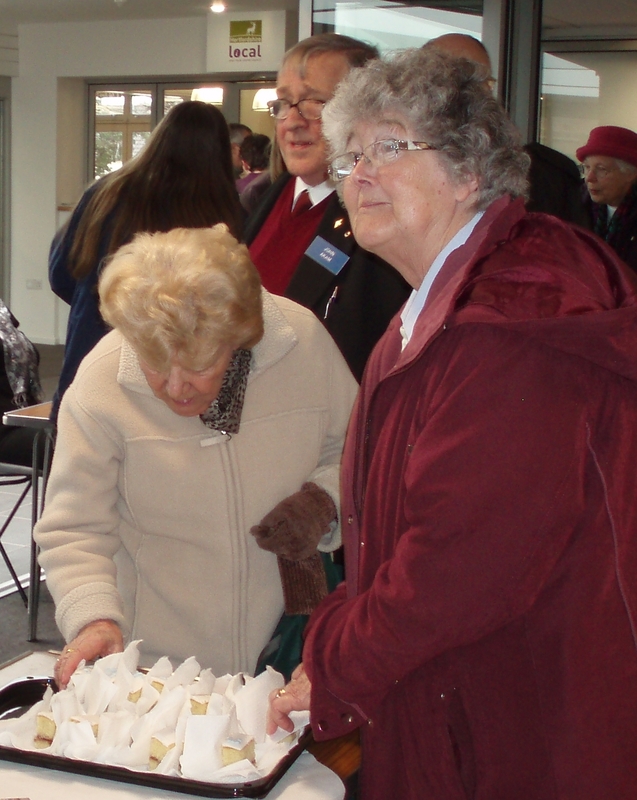 There was a delicious spread of cakes made by the volunteers and library staff who have been working on the project. 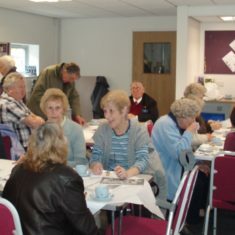 Once they had been served with tea and cake, guests at the party sat down to talk about their memories, and enjoy the afternoon. 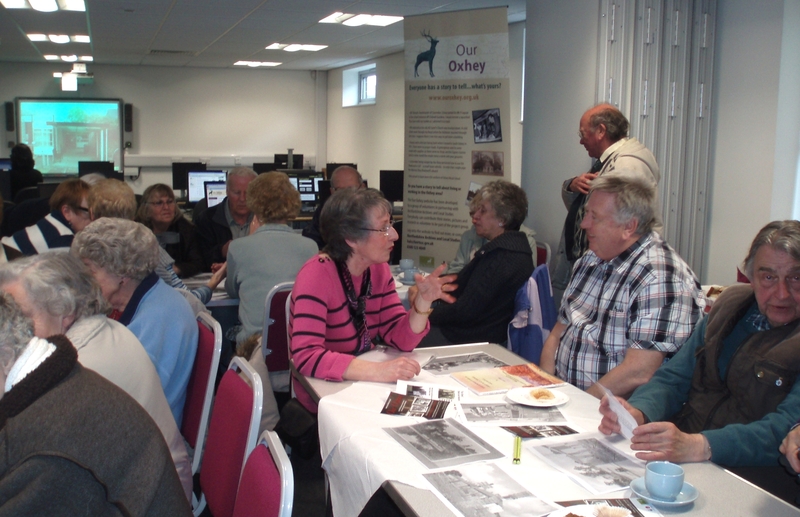 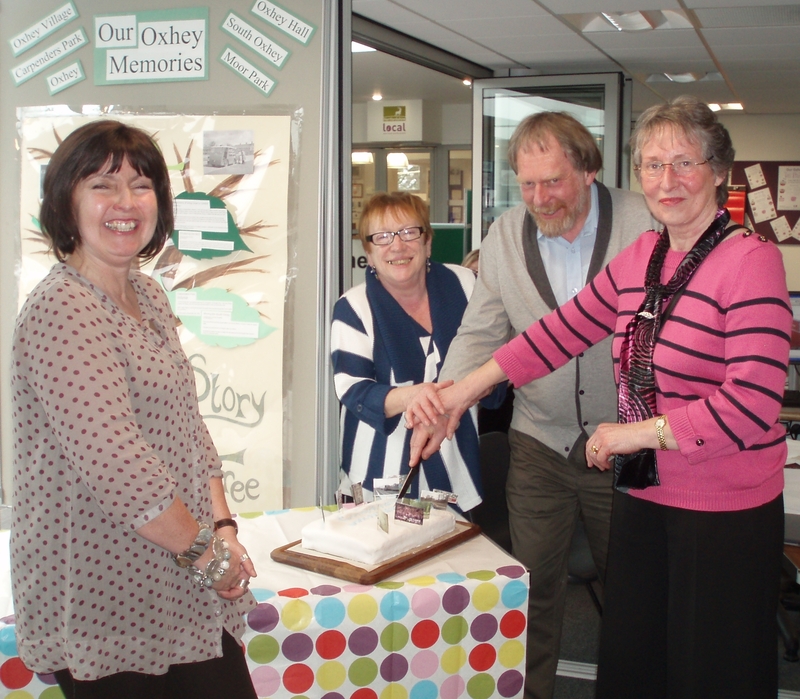 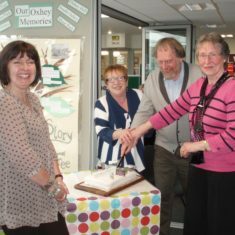 Library staff and various volunteers have been working on this Big Lottery funded website since October 2009, when we held our first Tea Party to collect memories from local residents. 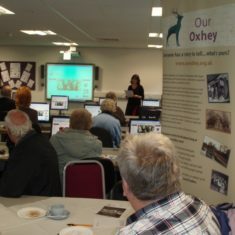 Since then, we have been busy learning about the website and how to update it, attending training courses, adding memories, both old and new, promoting the website and preparing for the launch. 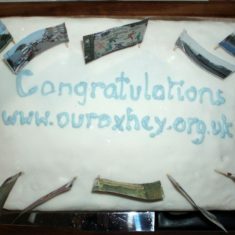 One of the volunteers wives had made us a beautiful celebration cake, and together the volunteers cut the cake to mark the launch of the website. 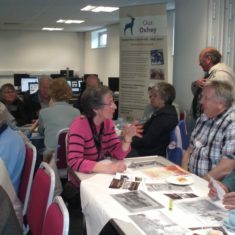 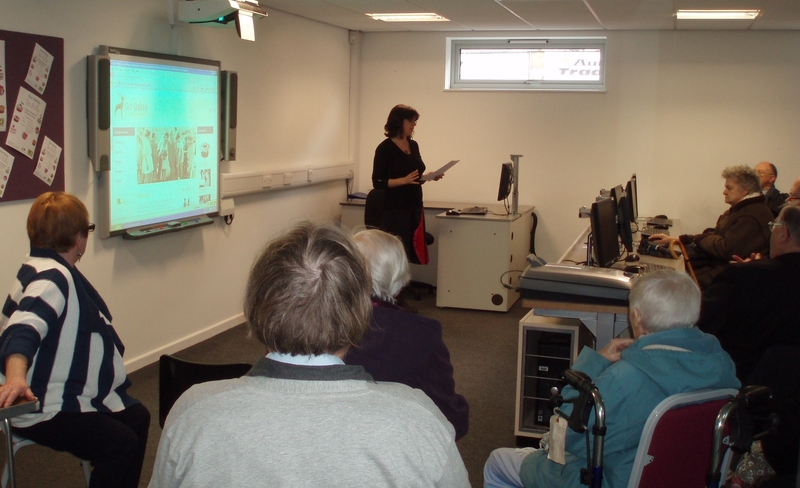 At 3pm Llinos Thomas from Hertfordshire Archives gave a demonstration of the website and showed how easy it is to add a memory. 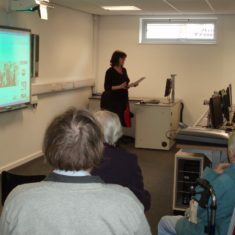 In fact, someone added a memory while she was speaking, but following her “Blue Peter” style instructions. 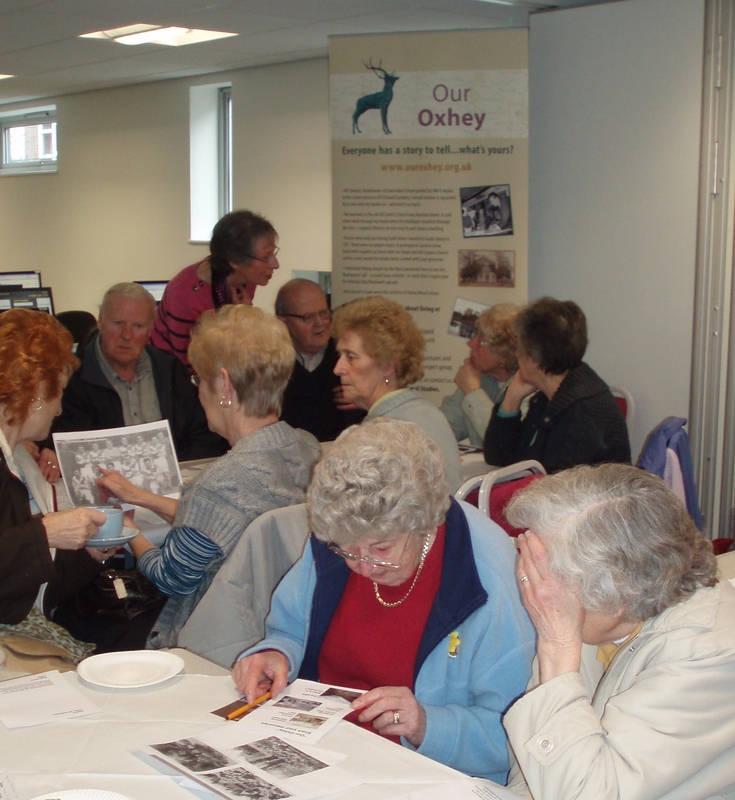 She was followed by our three volunteers speaking about their experience of working on the development of Our Oxhey and how much they had enjoyed it. 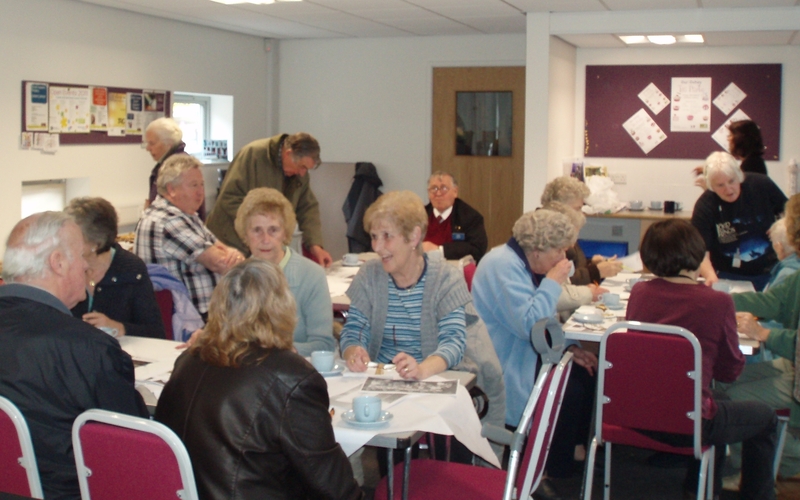 It was a lovely afternoon, what better way to spend a couple of hours than enjoying tea and cake and reminiscing over old times. 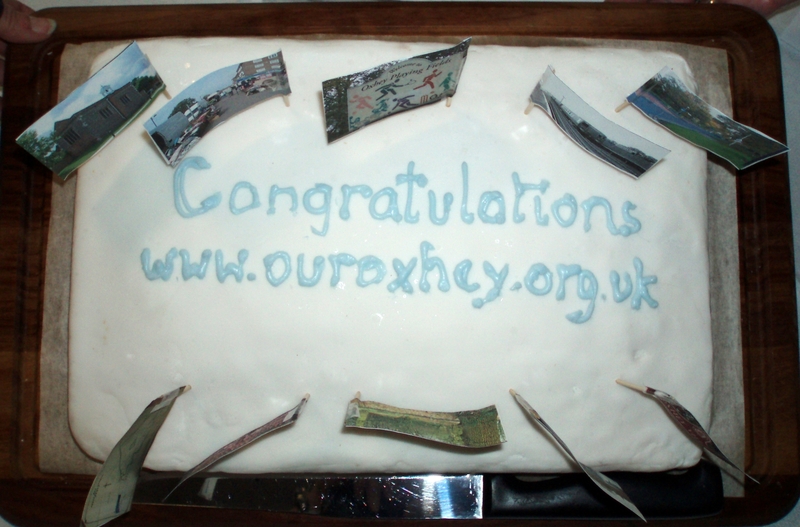 Thank you to everyone for their hard work getting Our Oxhey off the ground, to everyone who has shared a memory with us, but particularly our lovely volunteers who have given their time and been such fun to work with. 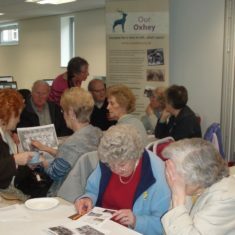 This page was added on 21/03/2011.